Our company was built on customer referrals. We feel this is the best advertisement there is. We pride ourselves on our customer service. We build long-term relationships with our clients. We offer quality work and reasonable rates. 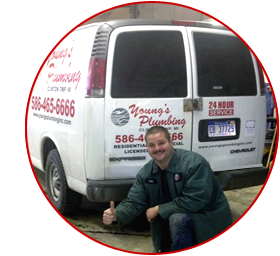 Please keep us in mind for any of your plumbing needs! An experienced, licensed & insured company who stands behind their work. A company with the resources, tools, material, and labor to handle any size of job. A reliable company that’s going to be around for the long term. A company that generates most of its business on customer referrals. A company that listens to you and your unique needs.